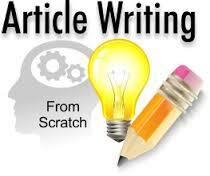 Get 1 article of 1000 words by a native English writer. I am new here so offering at low rates. I have over 7 years of experience in writing content as per need. I can write for all topics except adult topics. Health, business, finance and all. Native Writers 1 article of 1000 words writing is ranked 5 out of 5. Based on 15 user reviews.